Clinical skills, 2nd floor in the Eye Hospital (next to the Women & Childrens Hospital), Anlaby Road, Hull. Are you expecting a baby? Then you might like to join us for our HEY Baby carousel event! Midwives will be joined by representatives of 20 different groups and organisations, offering information about breastfeeding, hypnobirthing, home births, the new Midwifery Led Unit and much more. Mumbler attends this each month too to meet some of the expectant mums and advice on the ante natal and baby groups you can try. 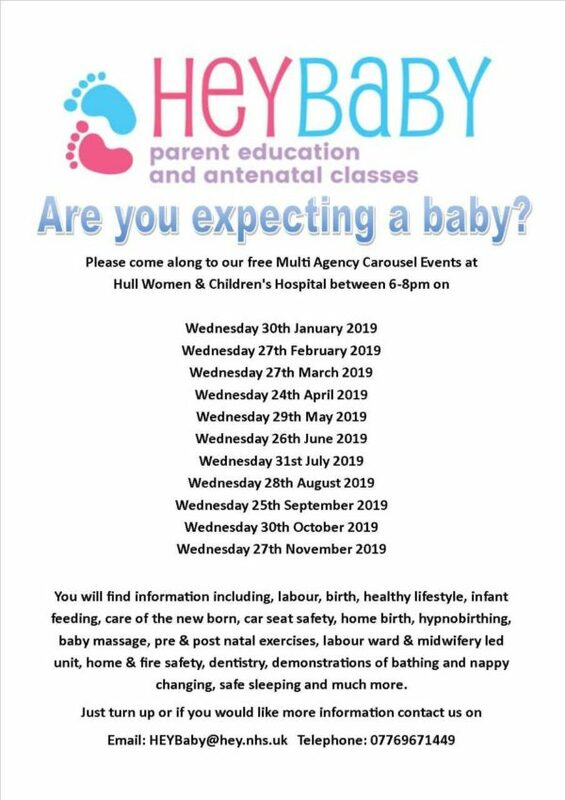 The event is free – email heybaby@hey.nhs.uk for more information or just drop in to the Women’s and Children’s Hospital anytime between 6 and 8pm that evening. Event runs monthly on the last Wednesday of each month.